This is the first sentence in a mind-expanding talk by Larry Smarr about his self-tracking journey. 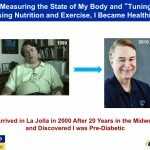 In 1999 Larry moved from Illinois to La Jolla, CA to take a position at the University of California, San Diego (UCSD). Like most Southern California transplants he quickly adapted to the local norms and began looking for ways to improve his fitness and health. 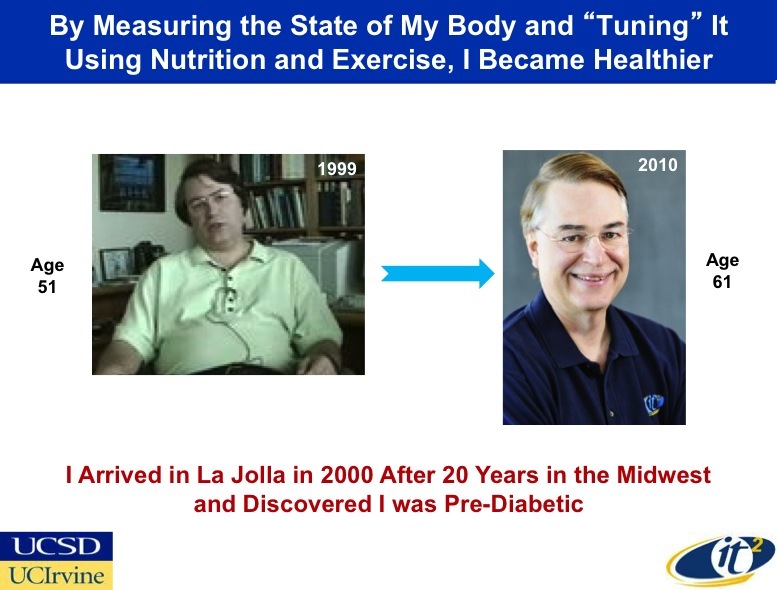 Tracking his weight and then his physical activity with a few different devices led him to become more curious about nutrition and he began tracking his diet. 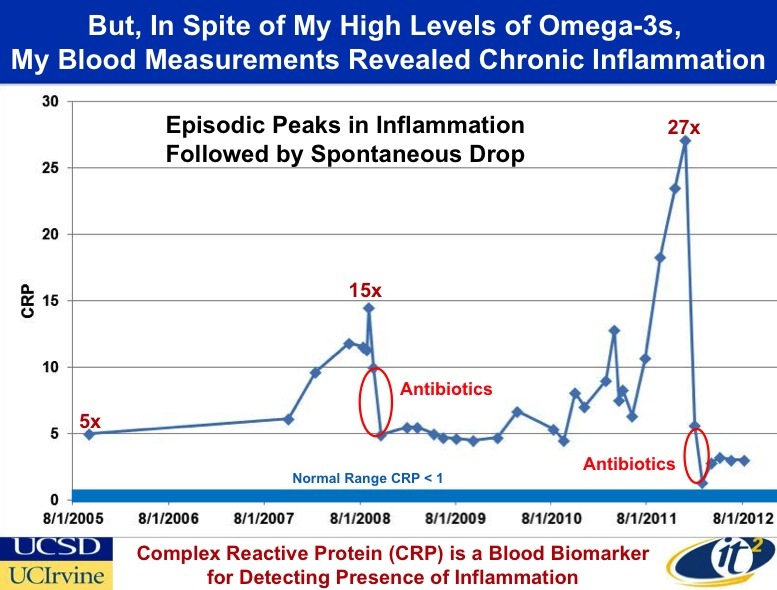 When he discovered that he was pre-diabetic and wanted to more closely monitor his inflammation he decided he wasn’t going to just trust the diet books, but “actually measure.” So he enlisted a personal blood testing service to track his ratio of Omega-6/Omega-3 fatty acids. The beauty of the blood tests Larry was doing were the vast amounts of data that that he could see and think about over time. 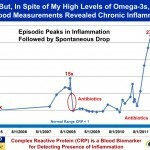 He noticed that one variable, C-Reactive Protein, was consistently out of normal range. What other tests could give him more information about what was going on? 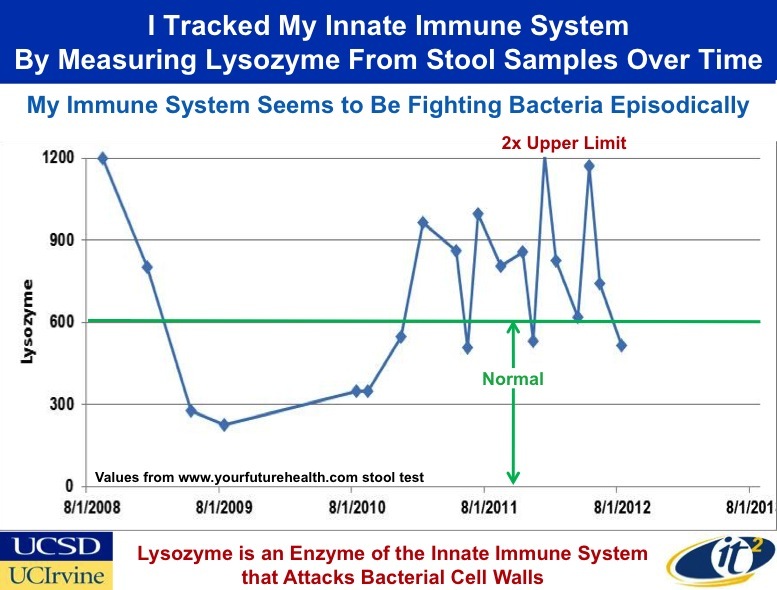 He tried a stool test, a comprehensive panel that tests samples for the presence of inflammatory markers as well as the abundance of good and bad bacteria. From his stool test Larry was able to see that his lactoferrin levels were consistently higher than normal. Some research into lactoferrin led him to find that is was associated with IBD. He didn’t feel any worse, but his data was starting to tell him a different story and he decided to trust the data and continue exploring. Through 23&Me, Larry learned that he had a marker that was associated with greater risk for Crohn’s disease. From reading scientific literature, he found that immune system dysfunction and microbial factors are both associated with Crohn’s disease. What did his stool sample say? 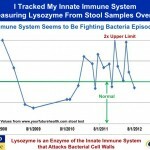 Immune system dysfunction? Turns out his lysozyme levels were in an “episodic war” trying to control bacteria levels. Additional tests found that his good bacteria levels weren’t up to par. Unfortunately these stool test were only able to give him insight into a small window of his microbial ecosystem. Thanks to his relationships in the scientific community and his access to computing resources at UCSD he began the process of whole genome sequencing of his stool samples. This process of data collection, testing, researching, reading, and the re-testing has given something more than just knowledge. It’s given him hope. And even joy. If you’re interested in Larry’s process of self-tracking and health testing I highly suggest reading his excellent article, Quantifying your body: A how-to guide from a systems biology perspective.